Last fall, the Biochemistry Department introduced a major change in the graduate program regarding first year structure. All incoming students are now required to undergo three five-week rotations before choosing a permanent lab. The most obvious appeal of rotations is that it enables students to make a more informed decision before a long-term commitment to a final lab. 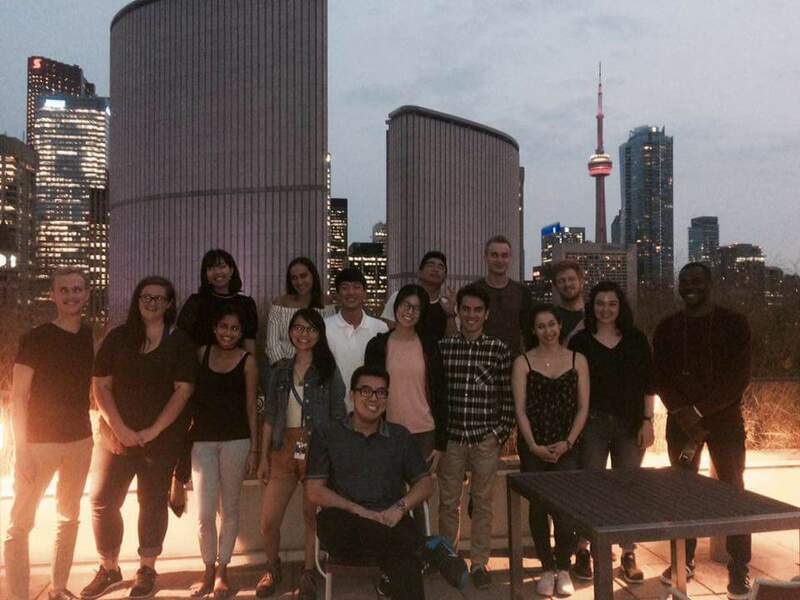 Evidently, many students agreed, as over 70% of new students that were interviewed felt that rotations positively influenced their decision to join Biochemistry at the University of Toronto, as opposed to different universities or other programs at U of T. However, the potential downside of rotations is the 15-week delay in the new students’ thesis work, considering many of the students have prior research experience in order to be competitive applicants to the program . Through this, they may have already developed a strong understanding of the research they would like to pursue and the lab environment to do so in. These are just some of the contrasting aspects of rotations that reflect why they are not always a component of graduate programs. So did Biochemistry make the right move? We sat down with the first cohort of rotation students, and provided some online surveys, to gain feedback on the rotation program, from a students’ perspective. Make the most of your rotations. There is a responsibility on the students to ensure the “15-week delay” is not a waste of time. Even for those who are more set in what they want out of graduate school, rotations are an opportunity to consider the finer details within potential labs, including the supervision style of the supervisor and lab dynamics. For example, one student with medical school aspirations was able to get a feeling for different environments in labs which all offered research projects with clinical applications. In addition, a number of students used the opportunity to test out a variety of research projects and labs, and subsequently decided on a final lab that they were not strongly considering before rotations. Whether you have a clear, or uncertain plan prior, these 15 weeks can be essential for ensuring long-term success and happiness in graduate school. Enhancing supervisor participation. Some students were frustrated at the limited opportunities to get to meet and talk to various supervisors, as they noticed it was generally the same PIs present at department-organized events designed to mediate this engagement. One student pointed out that these events are the only genuine chance for new students to learn about different supervisors, other than the small blurbs on the department website, which can be outdated. Because of this, they believe that the department should strongly encourage more supervisors to participate in these events. The Biochemistry Graduate Student Union (BGSU) was also involved in welcoming potential students to the department, which provided a good opportunity to network with senior students and hear about their experiences in different labs. Five weeks: efficiency vs. length. While it seemed that most students were able to have a meaningful and productive experience within each rotation, there were some that believed that five weeks was not sufficient to gain enough insight, and hoped to have a bit more time to be confident in their decisions. However, increasing the length of rotations is also not ideal for some students hoping to dive right into their project. This poses the question: what can be done to ensure that five weeks is as efficient as possible? There were cases where some supervisors were away from the lab during parts of the rotation, which made it hard for the students to determine if they would be a good match. 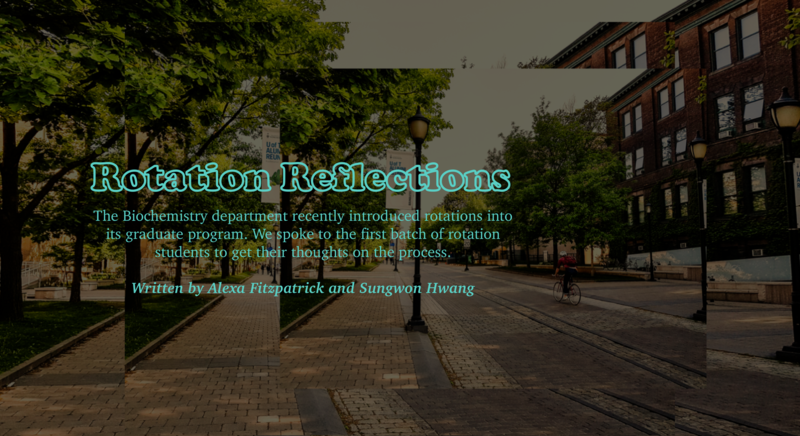 As rotations become a more concrete aspect of the graduate program, it may be easier for supervisors, and even senior students in the lab who will be working with new students, to prioritize rotation students during this time. Rotations definitely served their purpose. The overall consensus from students was that rotations certainly helped in making a decision for a permanent lab. During the rotations, the students were able to learn more in depth about the research and the general environment of the lab, including the supervisors’ supervising style and their relationships with current lab members. The students said that they used this information to thoroughly evaluate their options before making their decision. One student shared that rotations “gave additional confidence in making an informed decision to join the lab.” Another student also liked that they were able to experience both large and small labs to see which structure was a better fit. This is important because there is a range of diverse research, lab environments and supervisors, which are better or worse, depending on what factors are important for the student . In theory, this rotation time could also serve as a buffer period where students can settle into life as a graduate student, or a new Toronto resident. It could be a time to focus on making connections with other students and faculty, preparing for scholarships and completing a course requirement before the program gets more serious. While this was true for some students, many still found finalizing their decision, and sharing this with their rotation labs, to be very stressful. In general, this was attributed to communication challenges. Enhancing communication. Better communication was the most popular student suggestion for rotation improvement, specifically at the end of the rotation period. One of the biggest complaints was the lack of transparency regarding the number of positions available in the lab. There were several students that had positive rotations in a certain lab and developed a good relationship with the PI, only to learn in the end that funding for only one student was available. The students understand that PIs want to provide rotation opportunities to more students than the number of available positions in the lab, since it is unrealistic that all of the students will join their lab. However, students felt PIs should be more honest at the beginning, if there are minimal spots available, so that students can better plan the following rotations if he/she feels that it would be difficult to join that lab. Students also voiced that the final deadline should be better communicated and even reconsidered. The department told the students that final lab decision “should be confirmed by December 15th, but not before December 8th”. Some students were misled by this and thought that they were not allowed to ask the PI for a position until after December 8th. These students found that some supervisors had already filled up their spots when they asked after December 8th. This also brought up the issue that the students in the third rotation may have an advantage over others since the supervisor is more accessible to them during the decision-making period. One student felt that the final lab placement essentially came down to who asked for the position first. The students suggested that it may be a good idea to not allow supervisors to officially offer positions until a certain date, after all students have expressed interest in their first-choice lab, so that decisions would not be made on a first-come-first-serve basis. Another student voiced that if the decision deadline is within the third rotation period, this does not give students a fair chance to experience the lab, before they have to start reflecting on all rotations. So young, so much potential! Newly minted Biochemistry graduate students and rotation guinea pigs. All or none. It is extremely important moving forward that students, supervisors and the department are all “on board” with rotations, which understandably comes with time. New students should take advantage of opportunities to enhance their rotation and graduate program experience. Overall, students felt respected and welcomed from lab members, although some students noticed less support within larger labs. Finally, supervisors must respect that the rotation system was established for the benefit of the student. In the long run, a proper student-supervisor match is beneficial to both parties, and the majority of supervisors are indeed enthusiastic and supportive of the rotation period. In a few cases, students felt pressure to commit to a lab before completing their rotations and communicating their final choice became stressful. It is worthy to note that the department strongly stands by the rotation system and its benefit to students and addressed these situations accordingly, to prevent this moving forward. Based on the students’ responses, the new rotation program implemented by the Biochemistry department was successful overall, but has the potential for improvement. All interviewed students thought that rotations helped them choose the right lab for them and that the program should be retained by the department. In general, students found great resources and support within the department, either from current students, supervisors or other department faculty. We hope that students’ feedback will aid the department to further develop this effective rotation program, as well as better inform and prepare incoming students.